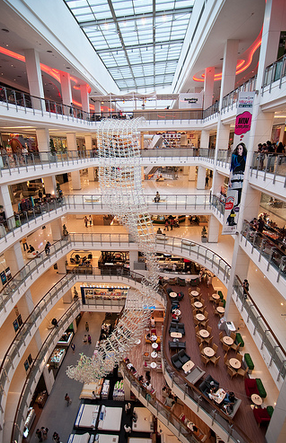 There are plenty of eating possibilities at Central World most of the 6th and 7th floors of this vast mall are given over to restaurants and eating establishments. Of course there are plenty of Thai restaurants but restaurants serving all manner of Asian and western food dominate here. 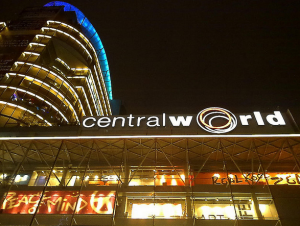 The full Central World restaurant directory can be found on their website. 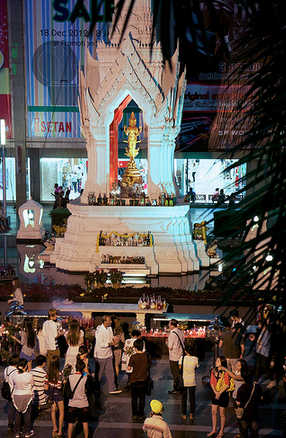 These two shrines can be found in front of the mall at the northeastern corner of the property. 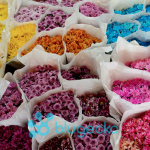 Although not as busy as the Erawan Shrine both shrines attract plenty of locals especially in the evening once the sun goes down you can watch the local Bangkokians make offerings of joss sticks and flower garlands while making their wishes in front of the shrines. It is believed those who pray at the Trimutri Shrine for true love will have their dreams fulfilled, and those making offerings and paying respects in front of the Ganesh shrine are seeking inspiration and protection from harm. 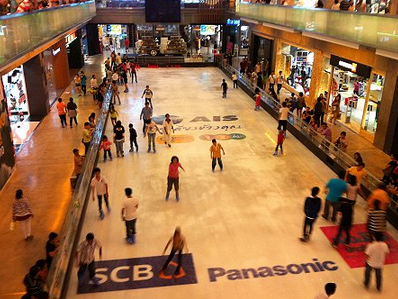 Despite the intense heat of Bangkok the the chilled air conditioned air of the Central World Mall makes a suitable environment for an ice skating rink, You can find the ice skating rink on the 1st floor. The rink is situated in an open atrium. 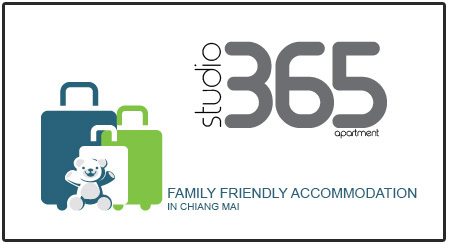 Prices are 250 baht for 90 minutes including skate rental. 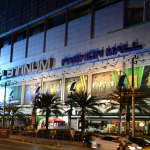 If you are staying in a hotel close to one of the Sky train stations then taking the sky train will probably be the speediest way of getting there especially considering the horrendous traffic which is ever present in this area. 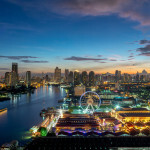 The closest Sky train station to Central World is Chitlom. On arrival at Chitlom you will descend the stairs from the station platform to the ticketing level from there it is about a 3-400 meter walk in a westerly direction towards Siam BTS Station. 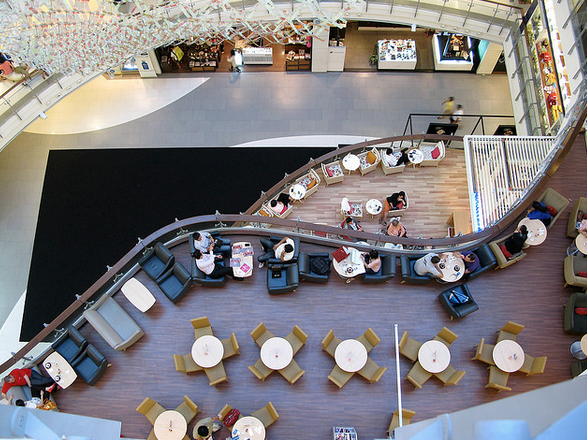 There is no need to descend the stairs to street level as there is a convenient raised walkway which runs all the way from Chitlom Station and finally joins Central World Plaza by sky bridge. About half way along the walk way to Central World if you look over on the left hand side you will see a nice areal view of the busy Erawan Shrine.